At the 19th annual ISOJ we’ll hear from keynote speakers who are leading some of the country’s top news organizations. On Friday, April 13, we’ll kick off ISOJ with a keynote panel about whether newspapers are in a post-advertising era. The panel will be chaired by Jim Moroney, the Chairman, President and Chief Executive Officer of A.H. Belo Corporation, and will feature panelists Jim Friedlich, Sara Glines, David Perpich, and Earl Wilkinson. Later that day, we’ll hear from keynote speaker Meredith Artley, who is Senior Vice President and Editor-in-Chief of CNN Digital. 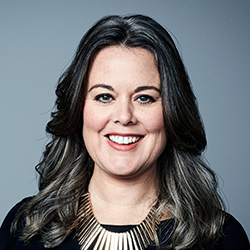 She leads a global team of more than 250 reporters, editors, and producers, and she oversees the creation, programming and publishing of content across all CNN Digital properties. Under her leadership, CNN Digital has become #1 in unique users across mobile and desktop, #1 in video, and the most followed and fanned news organization on social. On Saturday morning, April 14, we’ll hear from another esteemed digital media leader: BuzzFeed Editor-in-Chief Ben Smith, who will take center stage for a conversation with Texas Tribune CEO Evan Smith. 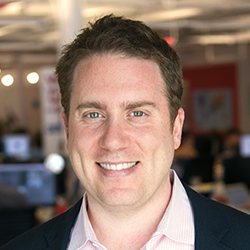 BuzzFeed’s Smith will talk about his work at the site, where he has led the expansion of more than 20 content verticals and grown the site’s traffic to over 200 million monthly unique visitors. Under his leadership, BuzzFeed’s coverage has grown to include business, investigative reporting, longform journalism, entertainment, and politics. 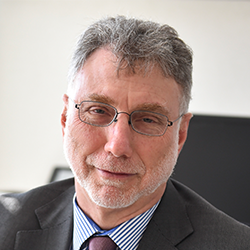 Smith will share more about BuzzFeed’s work during his talk, which will be followed later in the day by a Q&A with the Nieman Lab’s Josh Benton and our final keynote speaker: Washington Post Executive Editor Marty Baron. In an interview with Poynter, Baron shared his thoughts on the importance of online subscribers and paid content.